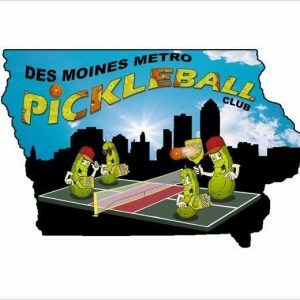 Contact: Jose Blanco Phone: 563-349-9279 Schedule: Summer - Sun 1-4pm, Tuesdays 6pm - 8pm, Thursdays 6-8pm, Saturdays 8am-11am Fee: $3.person ($2/Ankeny Residents) Website Comment: Two tennis courts lined with 4 pickleball courts using portable pickleball nets. No lighting. PortaPotty, water fountain, playground, and shelter w/grille nearby. Tues/Thursdays are for league play with open courts after leagues are done. Sundays are only days charges apply. South Karen Acres Park 77th Street and Roseland Ave., Urbandale. 2 lighted outdoor tennis courts lined for pickleball. Contact: Urbandale Parks and Recreation, 3600 86th Street, Urbandale, IA 50322. 515-278-3963. Lions Park 72nd Street and Aurora Avenue, Urbandale. 2 lighted outdoor tennis courts lined for pickleball. Urbandale Parks and Recreation, 3600 86th Street, Urbandale, IA 50322. 515-278-3963. Walker-Johnston 9000 Douglas Ave., Urbandale. Urbandale Parks and Recreation, 3600 86th Street, Urbandale, IA 50322. 515-278-3963. January 14th, the last day to register for this year's Regional Tournament. The last day of registration for the 2018 2nd Annual S.E. Regional Tournament is Jan. 14th, this Monday coming. Please hurry and register if you haven't done so yet. Don't worry about having your partner information exact - your partner will need to register as well. There are over 60 people signed up as of this morning and we were hoping for closer to 100. Last year we had 80 signed up. Encourage your friends to sign up! If you need help registering in the tournament call Ron at 919-0939 - if it's for the clinic, you will have to contact Mark Renneson's office. Two indoor courts at St Paul Presbyterian Church. Right now there are 5 sessions a week Tue and Thurs 1:00 to 3:00 and Mon, Wed, Fri 10:30 to 12:30. Thank you for the info. !